It appears I made up a crochet stitch. I’m now used to it, and quite like the texture of it, but at the time it was so frustrating. Maybe it was the yarn? The hook? We couldn’t seem to pin it down, so merrily off I went, accepting that’s how my blanket was going to be. Fast forward to quilt camp 2012, and Kayscha wanted to learn to ripple. So I sat and started talking her through it, at which point we realised that I was using a US treble for my stitch, instead of the UK treble in the pattern. I was too far in to consider frogging, and I had gotten used to the extra texture in the blanket. I liked it, I was happy, I kept going. Except, apparently, I’m a very special snowflake, and we discovered at Camp Coochie that I wasn’t actually doing a US treble. Nor a half treble. Nor a double treble. It was appear that I’m an absolute epic fail at this crochet gig, and managed to create a whole new stitch, half way between the two types of treble. Well, by “new”, I mean it’s very possibly most likely pretty much definitely been done somewhere before, but we could find it. So I’ve made up a video to demonstrate how to do the “Dovey Special”, as well as my version of a decrease, for making a ripple blanket. I’m all ears if you have a name suggestion for it! Love your video! And love your special new stitch though Im wondering how on earth you managed that one!!! I do wonder if you took a little from Uk and some from US and tadah a new stitch!!! 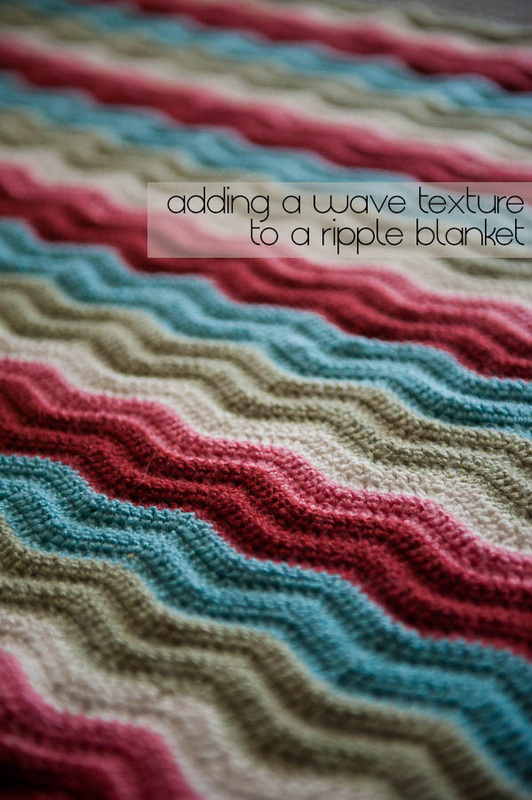 Well done & I do so love the wavy ripply look to your blanket! Still not sure myself. Seriously, I shouldn’t be trusted with anything, really. I’m sure I’ll manage to make the new one interesting too!